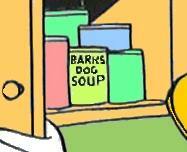 From time to time Barks could not resist placing a few humorous titbits in his panels. Well, of course he did it all the time but this page reveals some of the things that would normally go over the reader's head as they are of a more private nature. In fact, Barks did scatter a few caricatures of himself in the stories over the years and he even managed to enter a few more obscure injokes as well. 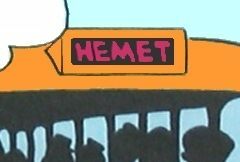 Fans have been digging around in the panels to find all the hidden clues and - surely - there are still more to be found but here you are presented with a few that are more commonly known. 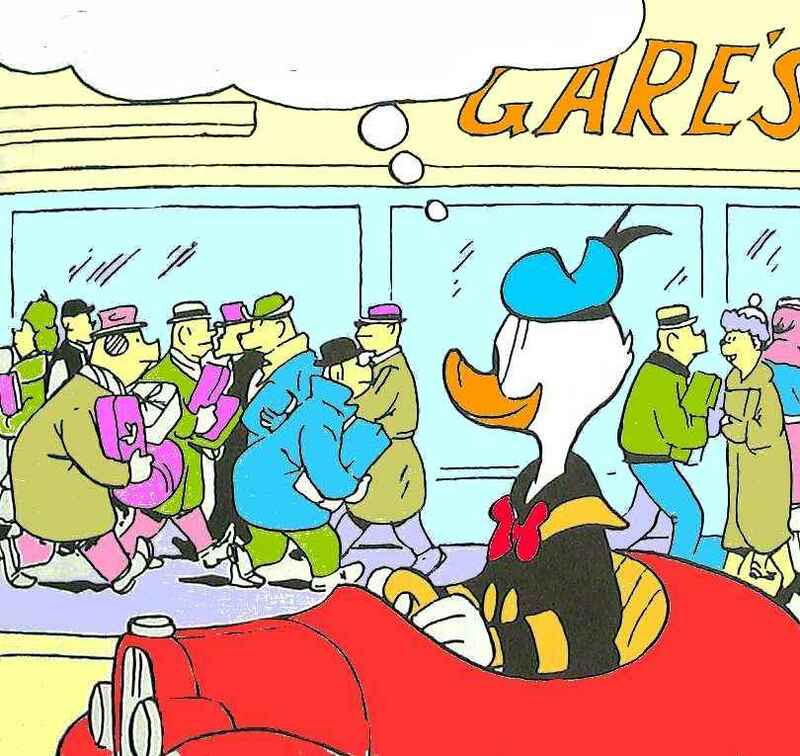 Garé only contributed one published gag. The nephews have just presented Donald with a camel as a Christmas gift and they go on to say: Only fifty cents! If we'd had two dollars, we could have bought an elephant! The trusty sled dog in this story was named Barko, which one would think as some association with the storyteller. However, Barks later denied any 'relationship' to the animal. Barks portrayed his good friend Al Koch who was actually a welfare official in the town of Indio in California. He also gave Barks the inspiration for the story. It is almost too much of a coincidence that Barks should happen to use the same number on the warship that was already known as the licence number on Donald's red car. 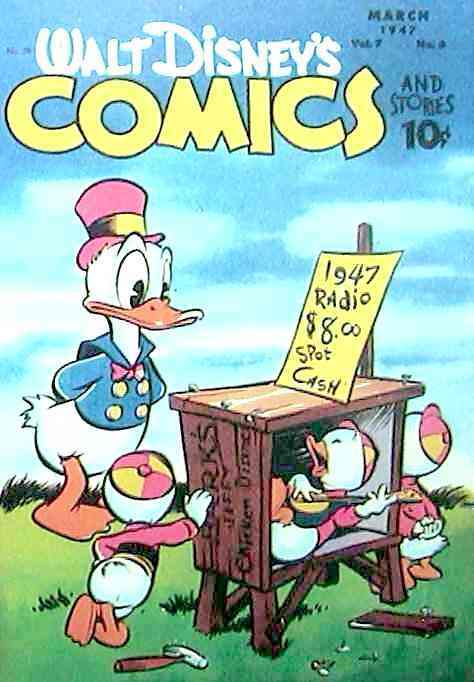 Donald is reading a science fiction story by Spicer Willits, which is a reference to John and Bill Spicer and Malcolm Willits, three of the first comic fans to get in touch with Barks. Don and Maggie Thompson were publishers of a comic fanzine and were among Barks' first fans. 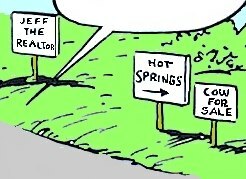 Until recently they were editors of the Comics Buyer's Guide. Barks immortalized another good friend, Jeff Divine, who was a real estate agent in the vicinity. Barks lived in the small town of Hemet in the San Jacinto area for several years. Barks was living in the San Jacinto area at the time of this story's publishing. 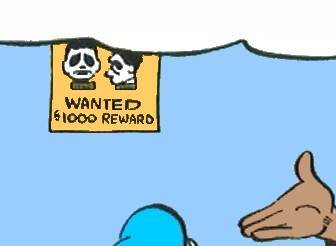 Barks depicted Charles 'Chuck' Couch on a wanted poster in an Egyptian police station. Couch and Barks had worked together in Disney's animation studios for a number of years. 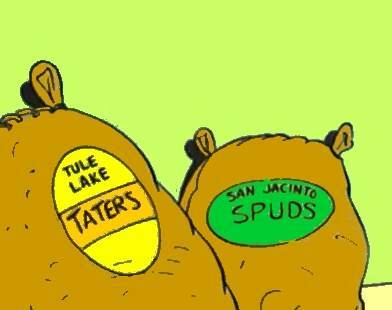 The potato sacks bear two names: Tulelake is the town in California where Barks' older brother Clyde lived as a hotel manager most of his life, and San Jacinto is the area in which Barks lived at the time. 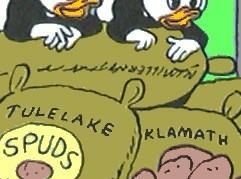 Again, the potato sacks bear two names: Tulelake and Klamath. The latter is the name of the Oregon county in which both brothers were born. A very special and immensely popular Dixieland band (1949-1970) was called the Firehouse Five Plus Two and consisted of musicians from the Walt Disney Studios. The leader was famed animator Ward Kimball, who, among many other instruments, played the trombone and ... a siren! In this story Donald is the leader of Firehouse Five. 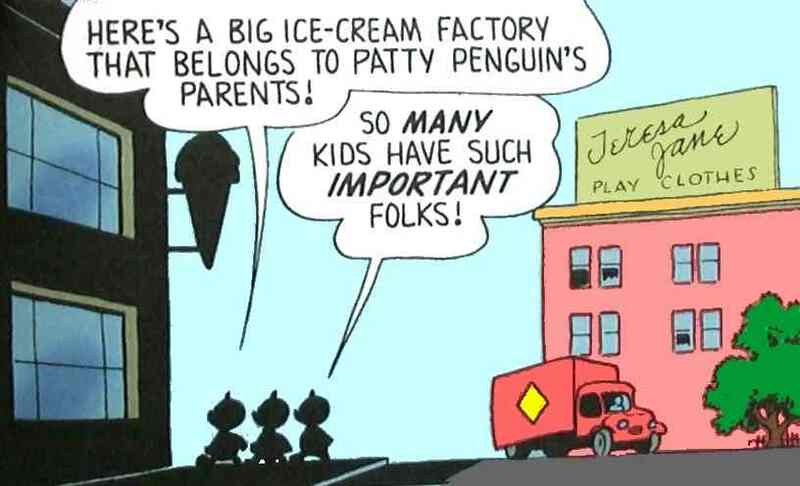 In WDCS210 from 1958 Barks paid tribute to his grandchildren by mentioning them in the first panels of the story. Their names are Bradley, Jackie, Patty, and Teresa Jane. 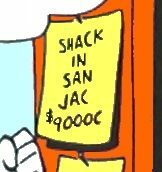 LEFT: In this panel Barks made clear references to the area where he lived at the time by giving two male Indians telling pullovers; SJ for San Jacinto and H for Hemet. RIGHT: Donald asks to see the owner of the ranch whom Tina, the housekeeper, identifies as Don Gaspar Fernando Ignacio de Sepulveda y Verdugo y Buenaventura. Barks used contemporary names taken from the area's geography: San Fernando Valley, Sepulveda Boulevard, Verdugo Hills, and San Buena Ventura. Barks occasionally paid tribute to some of his professional acquaintances. 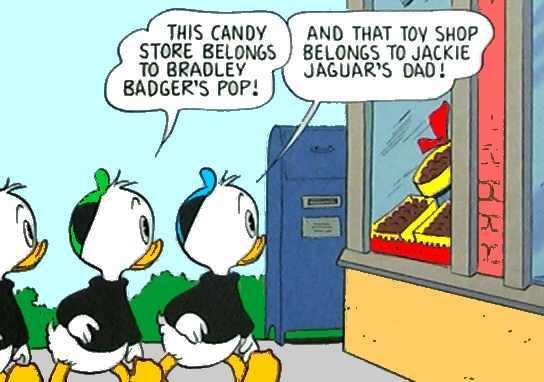 In MOC41 Race to the South Seas Barks named Scrooge's good lawyer Sylvester Shyster, which was the name of Mickey Mouse artist Floyd Gottfredson's evil lawyer character. Gottfredson never 'retaliated'. After his retirement in 1966 Barks wrote a number of scripts accompanied by rough sketches for the Junior Woodchucks comic books. One of the stories was JW14 Duckmade Disaster from 1972 in which he drew an angry man throwing eggs. It was inked by American artist Kay Wright. Years later Dutch artist Daan Jippes redrew the story (H92001) and he paid homage to the old Master by showing him as the angry person.